Are you looking for a Carpet Cleaner in Liverpool? Melling Carpet Cleaners are one of the leading carpet cleaning companies in Liverpool specialising in cleaning all types of carpets and rugs safely and effectively. Rest assured your carpets are being cleaned by the experts. We offer Sofa Cleaning including both material and leather. We offer the complete leather cleaning service for all your leather upholstery. We use only the correct cleaning products which safely and effectively remove any dirt from the surface of any material. If you're looking for a Sofa Cleaner in Liverpool look no further than Melling Carpet Cleaners. Melling Carpet Cleaners have been cleaning rugs for many years. 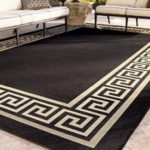 We can clean any type of rug including Chinese and Persian either at your property or we also provide a pick up and drop back service. If you're needing a rug cleaner in Liverpool look no further than Melling Carpet Cleaners. 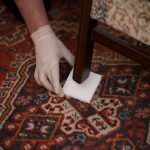 We are one of the leading carpet cleaners in Melling with a reputation for trustworthiness and efficiency. Maintain a clean and healthy home or place of business by taking advantages of services such as professional carpet cleaning in Lydiate from Melling Carpet Care. Keeping your house clean can be a daunting task and you may need to find reliable carpet cleaners in Bickerstaffe if you live in the area. Entrust your floor coverings to the best carpet cleaners in Rainford at Melling Carpet Care for freshness, hygiene and good looks. Melling Carpet Care, carpet cleaners in Knowsley, specialise in all manner of domestic and commercial cleaning. Services that include carpet cleaning in Kirkby ensure your home or office environment remains clean. Get our expert carpet cleaners in Bickerstaffe to thoroughly clean all your carpets and rugs. Many homes can benefit from the services of carpet cleaners in Formby. When it’s time to call carpet cleaners in Liverpool, reach out to Melling Carpet Care.